Sometimes Chopstix can’t face getting on a plane, as spoilt as we are with airports in Hong Kong and Singapore. 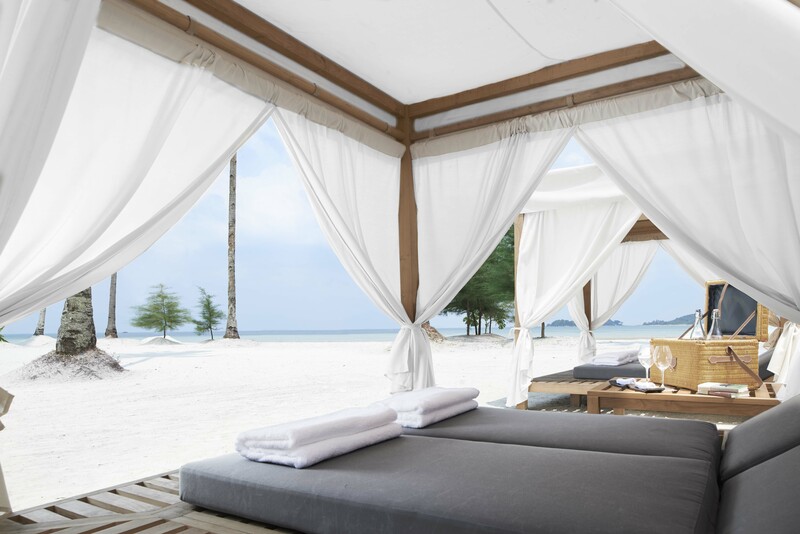 So our interest was kindled by the opening of a new luxury resort on Bintan – a ferry ride from Singapore. Our first pleasant surprise was on check in at the Singapore ferry terminal when we were handed a pack of ginger sweets for the journey, gifted from The Sanchaya hotel and stylishly packaged in their branding. The second was when we arrived on the Indonesian island a mere 45 mins later and were whisked into a private lounge – the space “Sanchaya-ed” as taste of what was to come – while immigration and baggage collection were dealt with for us. Then it was a short private transfer to the resort itself. 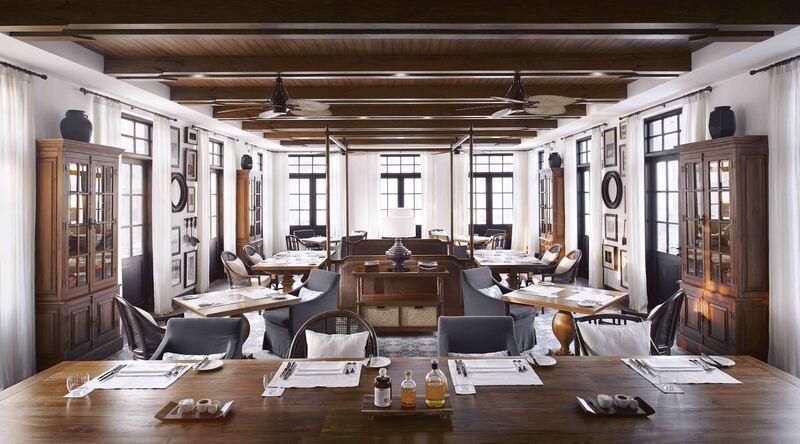 The Sanchaya looks like a beautiful, colonial era mansion although in reality it’s brand spanking new. 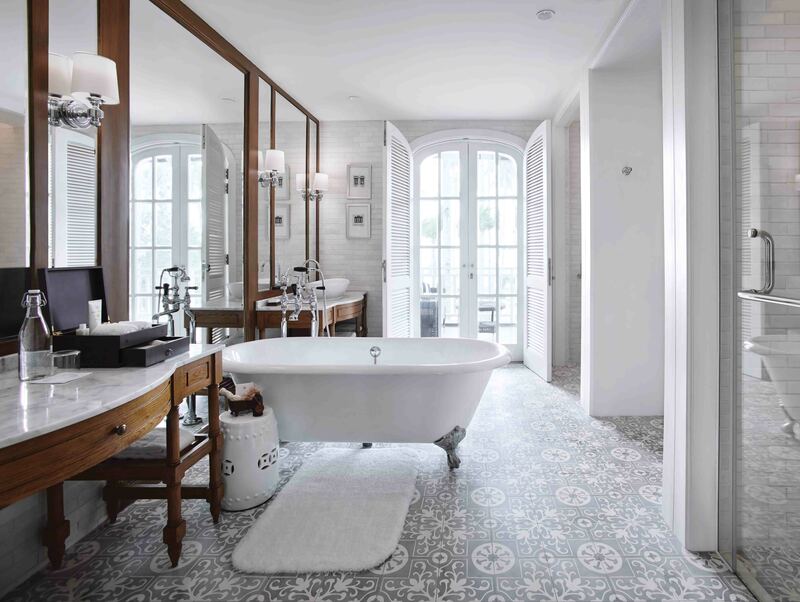 And very stylish it is too – the décor is Colonial Meets The Hamptons with tasteful muted greys and striped monochrome terrace furniture. There’s also a smattering of Asian antiques reminding you you’re in Indonesia. 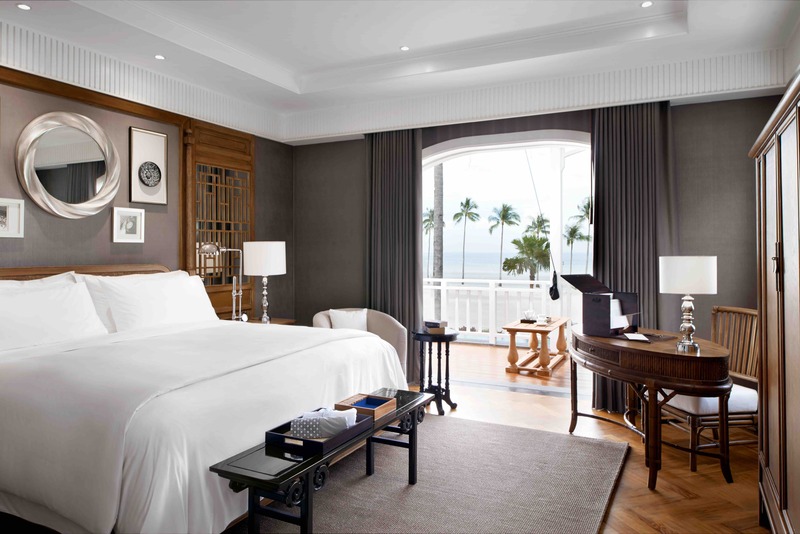 Chopstix has a spacious room in the Great House (there are also villas dotted around the grounds) with a large terrace overlooking the infinity pool, the white sand beach and the palm tree framed sea beyond. Bliss. One of the most impressive components of the The Sanchaya is the attention to detail: personalised stationery in the guest rooms, artisan chocolate in the (complimentary) mini bar, board games left at turn down. It started with the travel sweets at the ferry check in and it continues throughout the resort from the local, medicinal drink served at breakfast by the Jamu Lady to the impressive range of craft spirits in the bar. Ah yes, the bar. 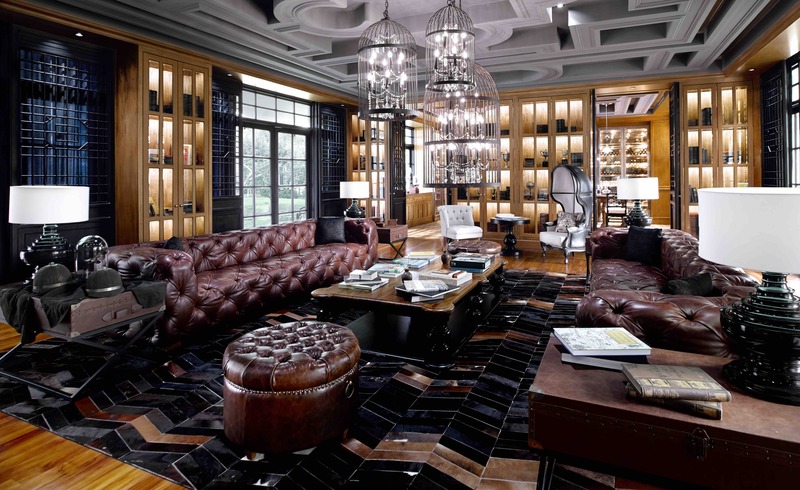 A gentleman’s club affair of leather sofas and intriguing antiques with French windows opening up onto a wraparound terrace. Perfect for pre or post dinner drinks. There are two restaurants to choose from. One pool side, semi al fresco and serving Thai food. It’s only open for dinner but it would do well for lunch. Then there’s a more formal but still airy Dining Room with an international menu including some very good Indonesian dishes. Breakfasts are particularly good (more on this in a future post). Tucked away in its own garden is the spa. There’s Thai yoga massage in a traditional cabana while other treatments, such as the signature Sanchaya massage, are held inside the compact spa house. All very nice and worth doing if you’re in need of a stretch though the price is top dollar London/New York luxury hotel prices without the facilities of steam and water etc. The weekend floats by in a pleasing cycle of flopping between our terrace, the pool, the spa and the restaurants. On Sunday evening we pack up but there’s none of the dread of facing an airport. Just an easy transfer back to the ferry terminal where once again we wait in the private lounge as our check in is dealt with. This must be the most relaxing short break from Singapore.